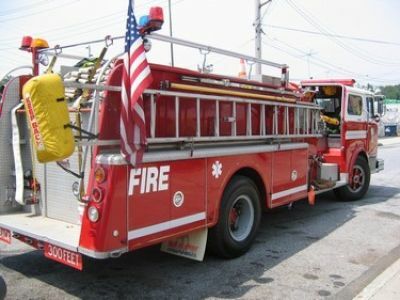 This is a picture of the Fire Truck that we sold to Chris, The only Changes to the truck that we know are that the Name & Engine Decals have been removed & the Truck is a real show piece. 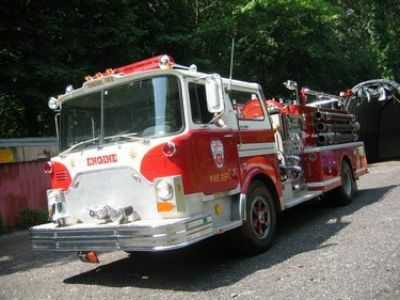 Its a 77 Mack Fire Truck. I hope that we have been a help to you on this & again we are sorry that the our two Fire Trucks are booked for that day.